Rome is the eternal city, the birthplace of the modern world and the seat of power of the Catholic Church. 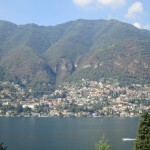 It is also a fast paced, frenetic city with an unmistakable energy of one of the world’s great cities. 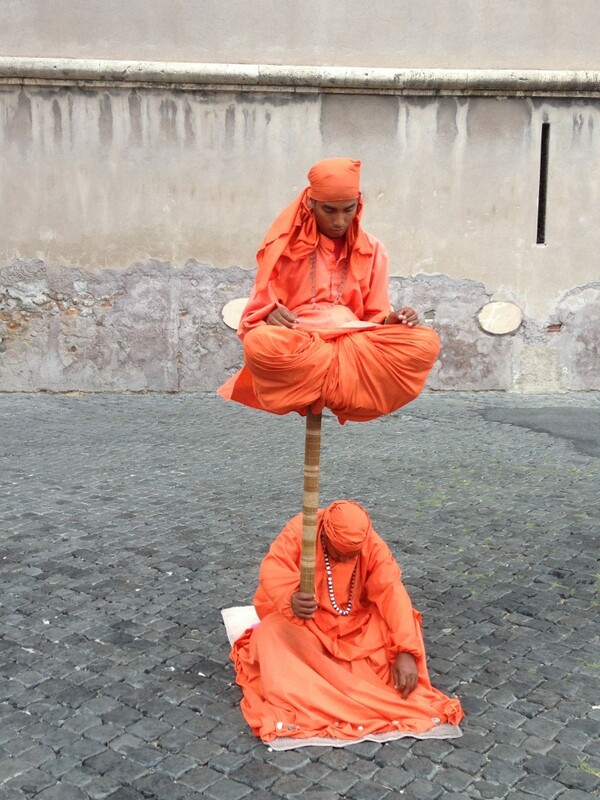 There are more things to do in Rome than in most cities combined. 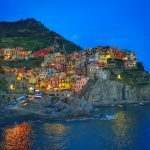 You could spend years in Rome wandering the alleyway streets, sampling local foods and visiting the ancient museums and sites. 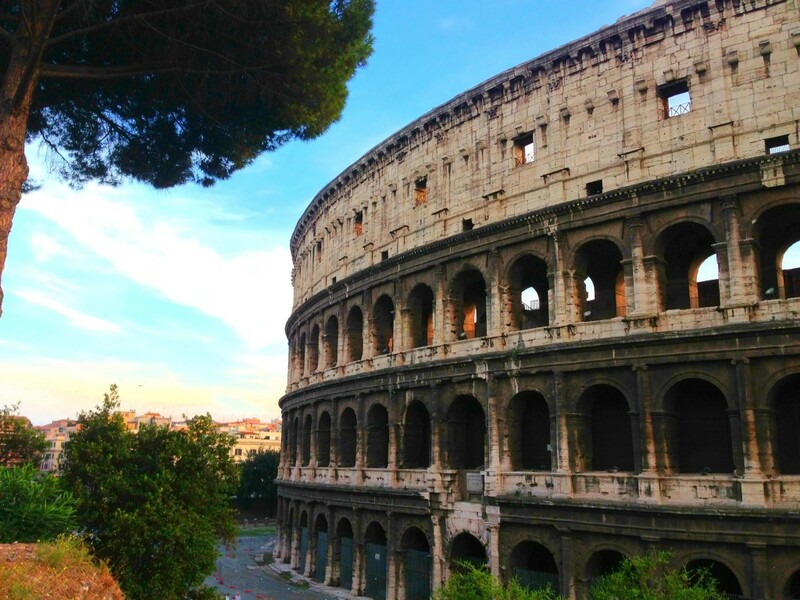 But if you are short on time and have to be picky: here are 5 awesome things to do in Rome. 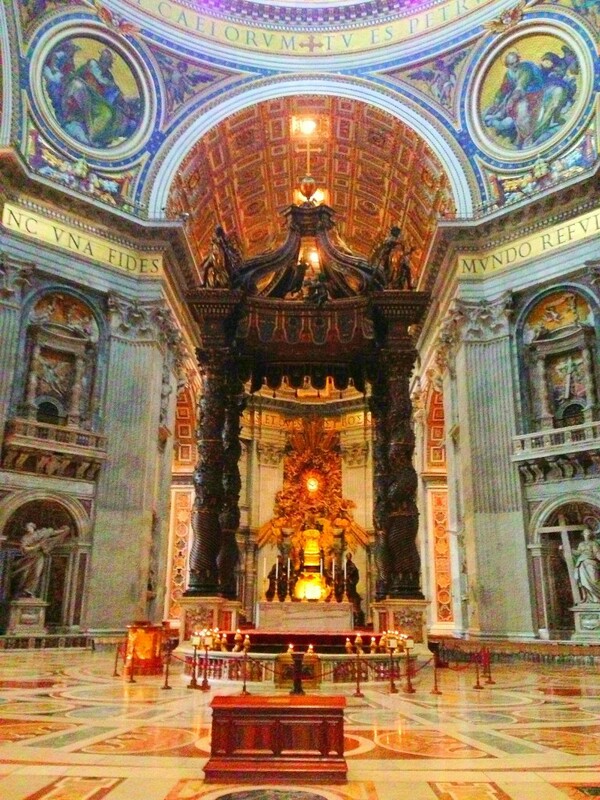 Vatican City is wholly located within Rome. 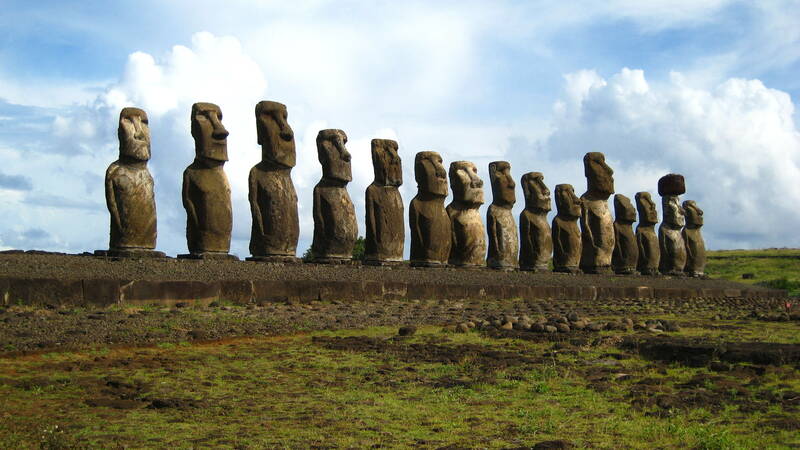 It is the world’s smallest country and a true marvel to visit. I have been half a dozen times and each time, I get excited like a little kid when I cross the threshold and enter the Holy See. It’s not religion that gets me excited nor is it even the history of the Vatican that gets me going. It is the simple, raw power of the place. It is the way it affects people and how they react to its power and that of the leader of the Catholic Church, the Pope. 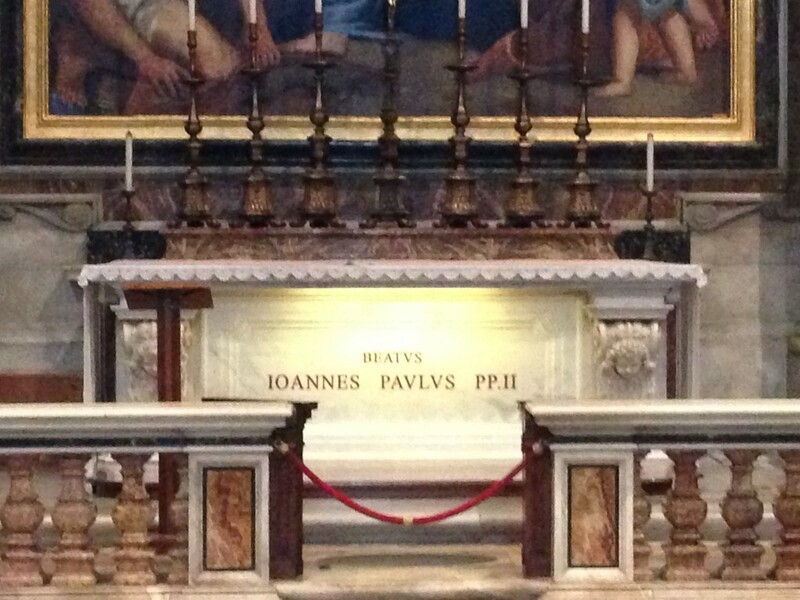 In November 1998, on my first visit to Rome, I went to San Pietro or St. Peters very early to watch a mass given by none other than Pope John Paul II. He was some 20 years into his Papacy and his age was showing but I remember vividly sitting about 3 people from the aisle in St. Peters when Pope John Paul II, walked down the aisle as mass concluded. I remember being only about 5 feet away from perhaps the most powerful and influential man in the world. I remember watching peoples’ faces in reaction to being touched by him. It was as if they were touched by God himself. I will never forget that morning. 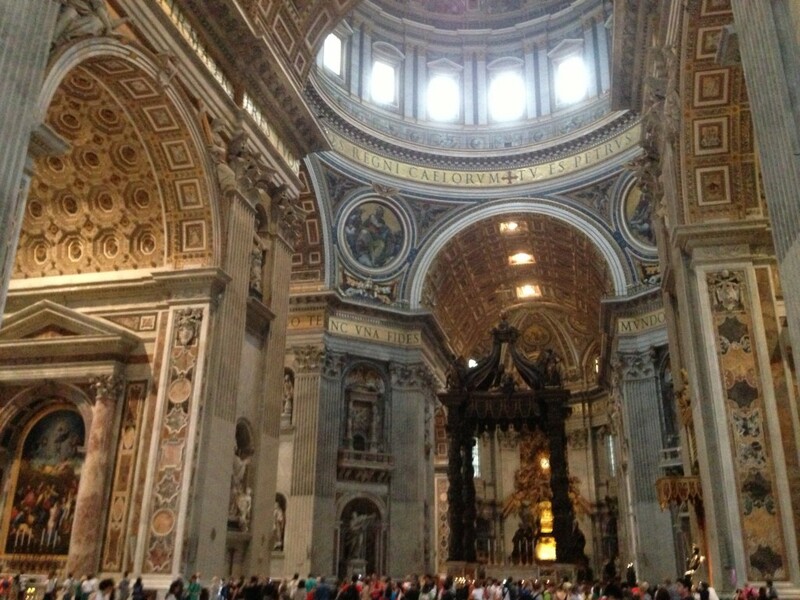 I have been to the Vatican several times in the last 15 years. But I never made the effort to see the Pope give mass again. 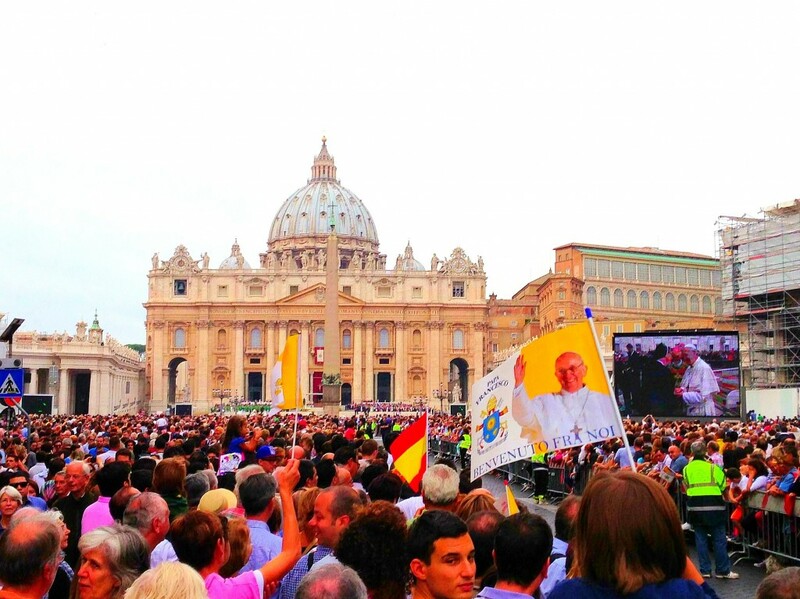 Sometimes I wasn’t there on a Sunday or one time I wanted to see Pope Benedict XVI, but he was out of Rome. Fortunately for me, this time it worked out. It is a little unclear, when the Papal services are if you look at the website and asking questions in Italy can generally get you 20 different answers. 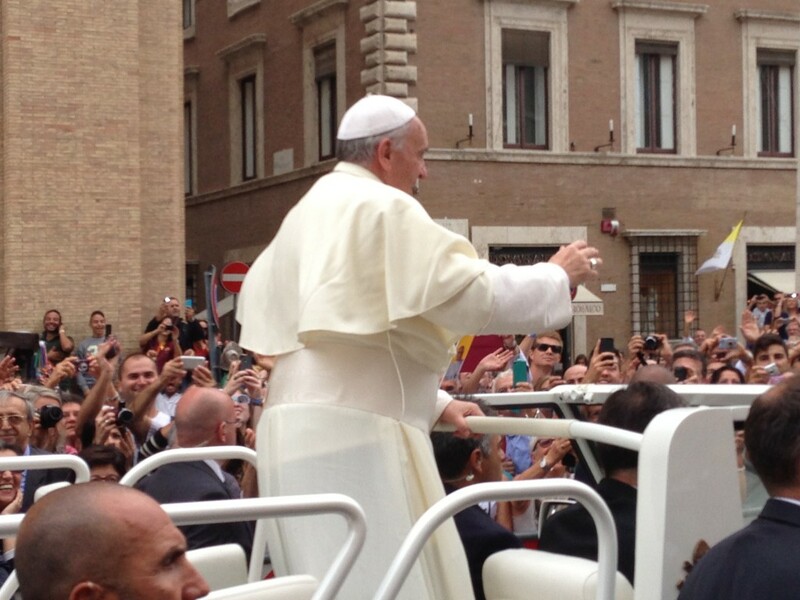 So we decided to head over to the Vatican around noon to see the Pope. I thought it would just be a small greeting from a distant window high up in the Vatican. 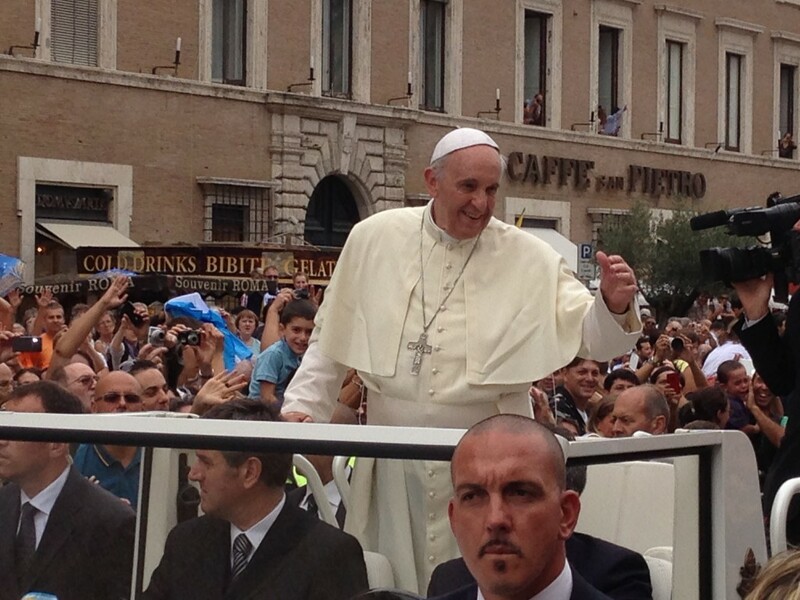 However, Pope Francis was giving an open air mass in St. Peters Square. This was quite a spectacle and it was packed. There had to be 100,000 people in the square and the crowd was back up nearly to Castel Sant’Angelo about a mile away from St. Peters. 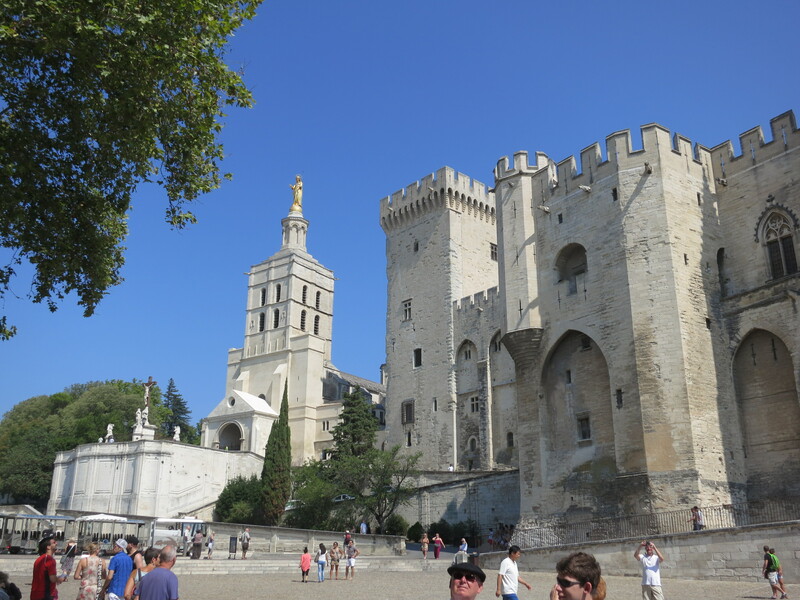 We were positioned on a barricade straight ahead from the massive cathedral and being tall, I could see the mass. There are also TV’s showing what’s happening. But then it happened. 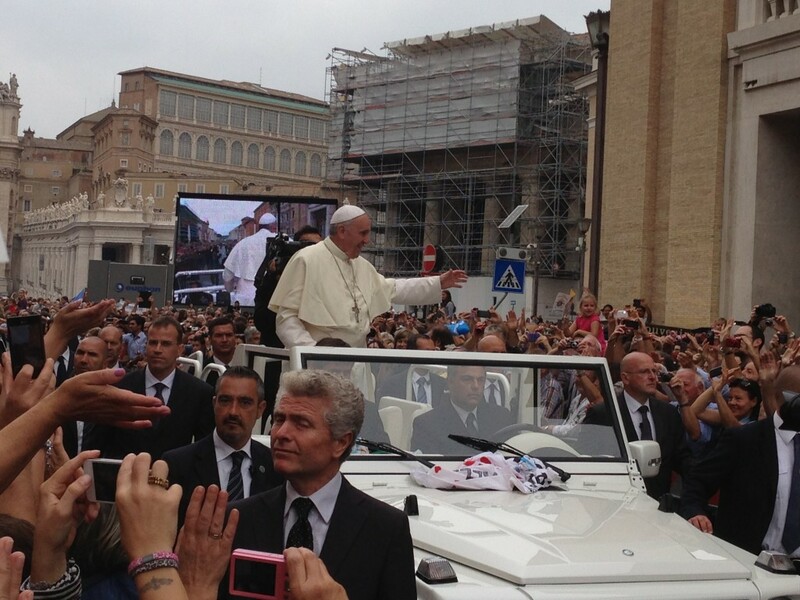 Pope Francis got in his open air Pope-Mobile and drove around St. Peters Square and out into the crowd. He stopped every now and then to kiss a baby or bless someone but the magic I once saw from Pope John Paul II was repeated and I was so close to Pope Francis that I could nearly touch the man. People were going nuts and it was really exciting. It was a serious adrenaline rush and one I wasn’t expecting. 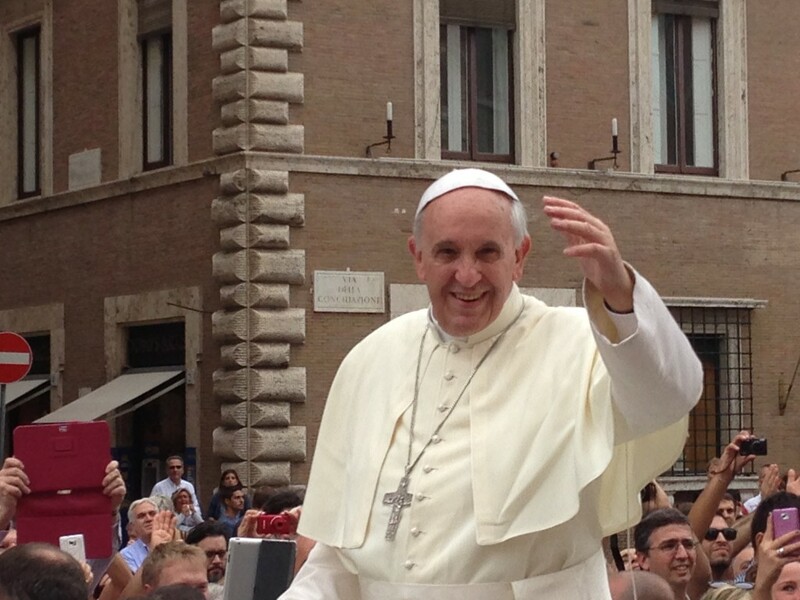 I highly recommend going to see the Pope. No matter your religion, or even if you have none, it’s worth doing. I reiterate that I am not a religious person but I am extremely intrigued by religion in general. I think it is fascinating and I respect all religions and their ancient treasures. 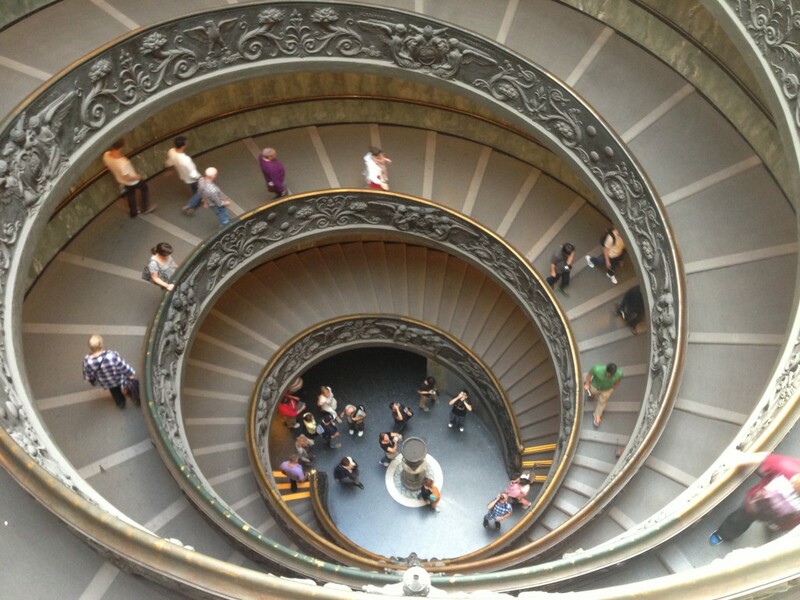 That said, the Vatican Museums and the Sistine Chapel are awesome and one of the ‘can’t miss’ things to do in Rome. I suggest getting there early to avoid lines or even making a reservation online ahead of time. However, any way you slice it, you will be waiting in line and it will be crowded. Normally, I cannot stand crowds but in Italy and at the Sistine Chapel, this is something you must put up with as it is worth it. The Vatican Museums are massive and are beautiful. There are several different areas and different rooms. 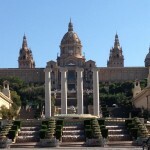 It is often reminiscent of Versailles and often breathtaking. The crowds are a pain but you push through. 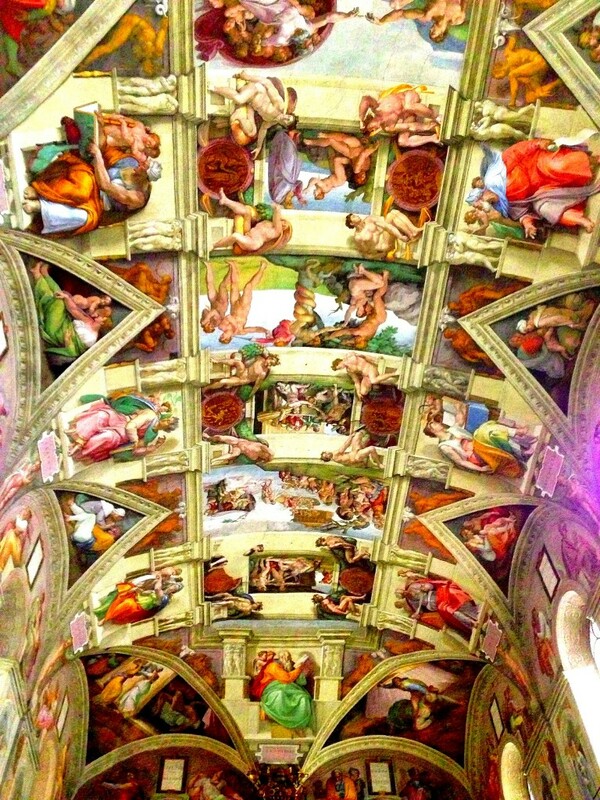 You can actually take a short cut as well to the Sistine Chapel straight away if you don’t want to see the whole thing. If you’ve never seen the museums, I suggest you do it, but the prize is the Sistine Chapel-make no mistake. Walking into the chamber takes your breath away. 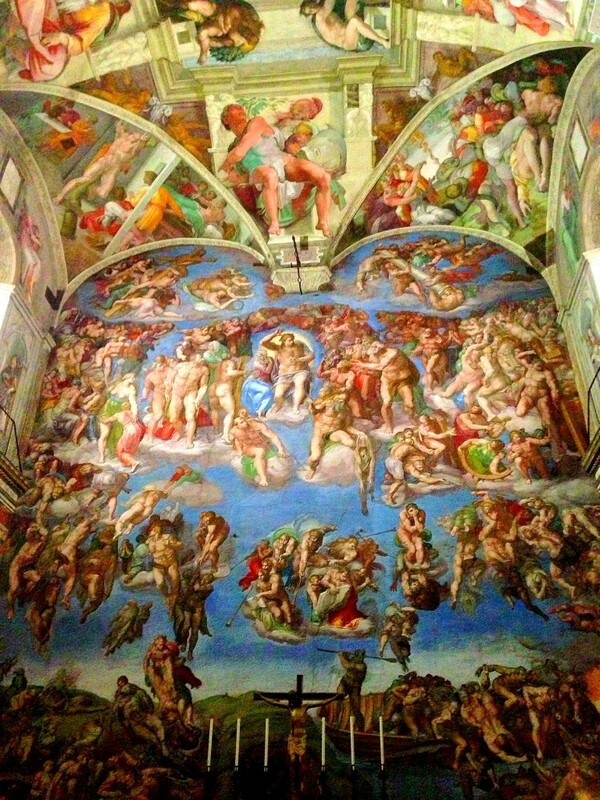 Seeing Michelangelo’s famous murals send a shiver down your spine even if you’ve seen it 5 times before. You’re not supposed to talk or take pictures but everyone does. There are annoying security guards who will Shhhh everyone from time to time or tell you not to take pictures but it’s a futile battle. My biggest suggestion is to simply stare at the murals, the ceiling and the light. It is one of those places that really make you say WOW. Imagine the history and the decisions that have been made in the very room you are inside. This is where they elect Popes. This is where the greatest piece of art in human history is located. This is the Sistine Chapel. Not to be overly dramatic-just be cognizant of what you’re seeing and experiencing-and try to imagine it without 1000 other people in the room! This past trip to Rome, I stayed at a great, furnished apartment, thank to my friends at Go With Oh. 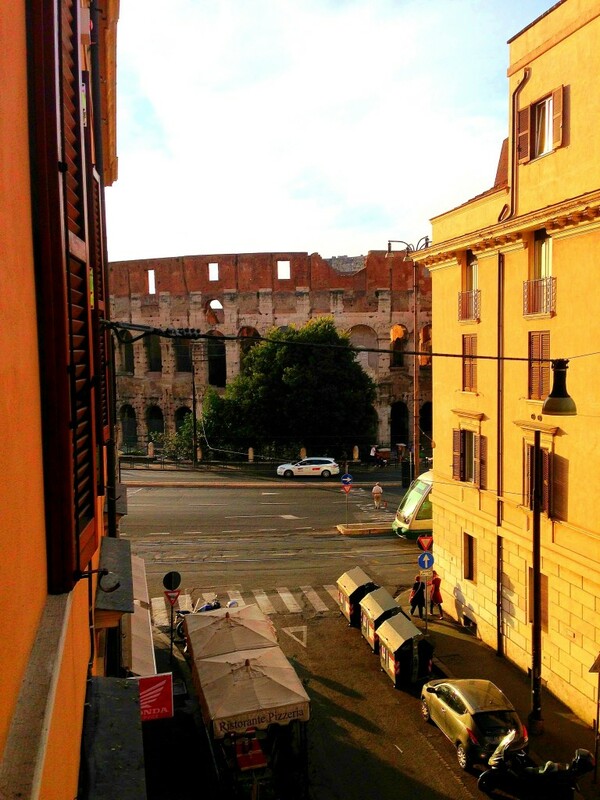 It was located directly across from the Colosseum and in fact I could see the grand arena from the window of the flat. It was the perfect starting point for an amazing self-guided walking tour of the ancient sites of Rome. From the ancient Colosseum, you walk down Mussolini’s road that he built for grand military displays to Piazza Venezia to see my favorite actual site in Rome. The grandeur and colossal, imposing presence will put you in awe as you stare at it and snap photos. 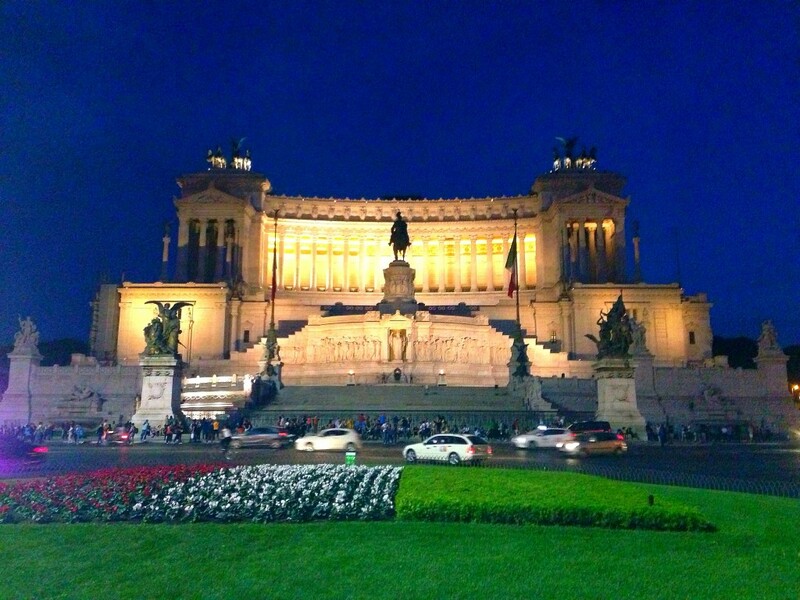 From Piazza Venezia, you can go in several directions to any of several great Roman sites. 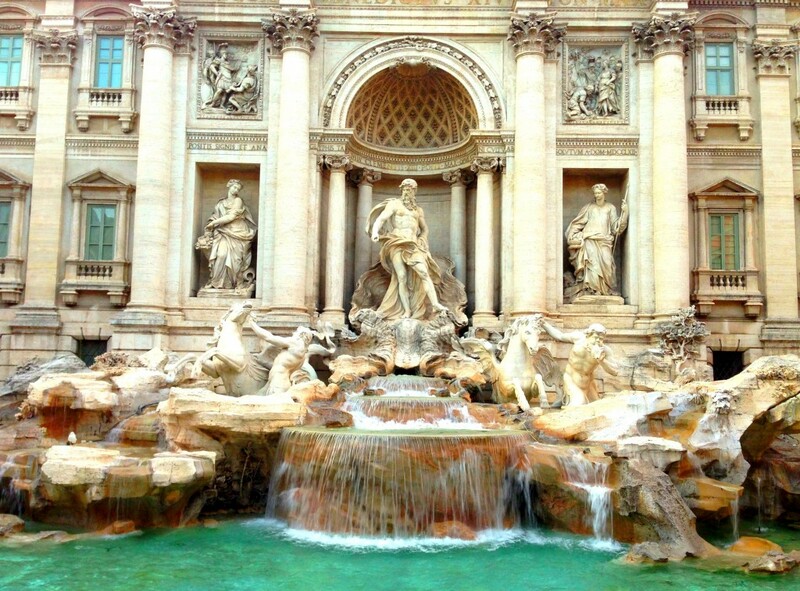 The Trevi Fountain is always awesome to see. It is, in my opinion, the most beautiful fountain in the world. It is always crowded with people taking photos and throwing coins in the water but again, well worth the crowds to get a good look up close. The Pantheon is one of the coolest sites in Rome as well. The hole in the ceiling is perfectly positioned to see the light, night or day. The church is awesome and is always free to walk in. It will again always be crowded but you can get some space and maybe even try to take a panoramic photo! I personally think the Spanish Steps are a little overrated and the crowds make all pictures look diluted but I do love to walk around the famous piazzas of Rome. 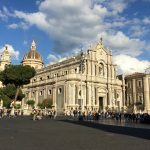 Piazza Navona, Piazza de Popolo and Camp di Fiore are some of my favorites. 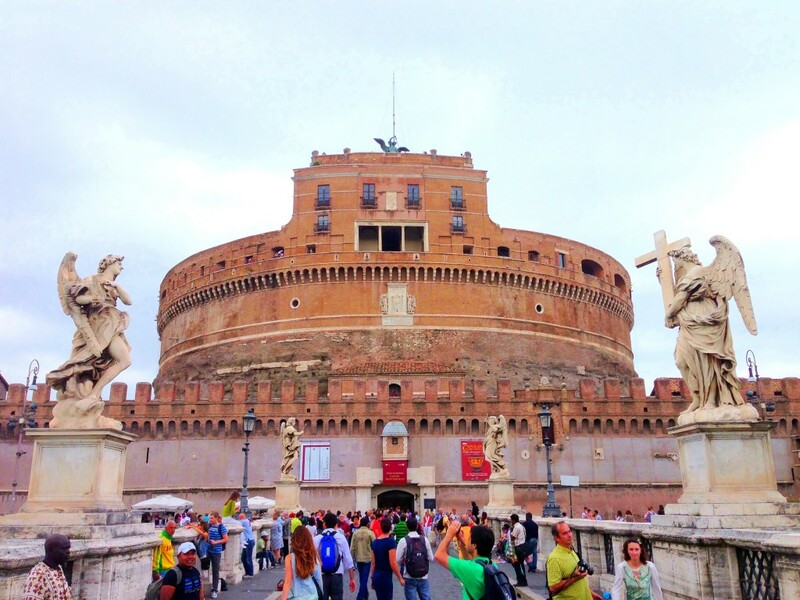 Of course you can also continue walking out to the Vatican and definitely make a stop at Castel Sant’Angelo along the river. It makes for great photos. Just watch out for the Illuminati…that’s an ‘Angels and Demons’ reference if you haven’t read the great Dan Brown novel. I didn’t even know these tours existed but my friend, Stephen, who runs Walks of Italy, hooked me up on a tour of the Colosseum at night. I was blown away at how cool it was. 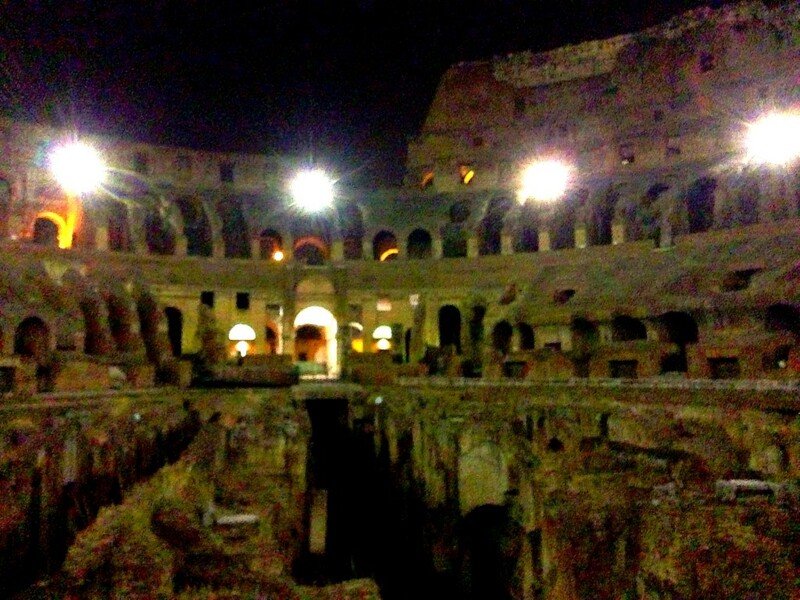 First, you’re in the Colosseum at night-which is super cool in and of itself. Second, the views inside the arena are spectacular. It has a real eerie, old feeling and kind of puts you back 2000 years to the time of the Gladiator flights. Third, and best, is you get to go down onto the floor of the Colosseum. You actually get to go down into the underbelly of the stadium and see where they kept the animals and the gladiators and everything else. It is neither the prettiest thing to see nor the most glamorous but it is the coolest thing to see in my book. 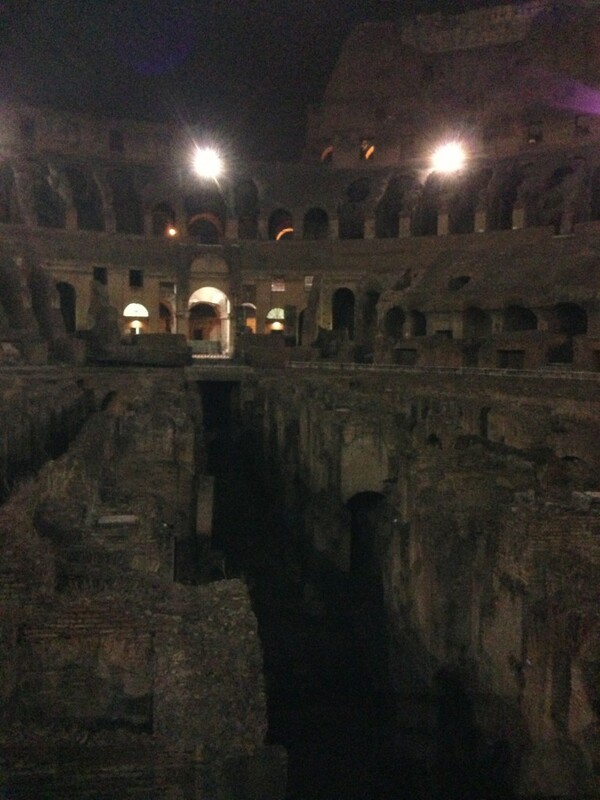 This was my 5th time in the Colosseum and the first, both at night and seeing the underneath of the arena. It was very memorable and I highly recommend it! 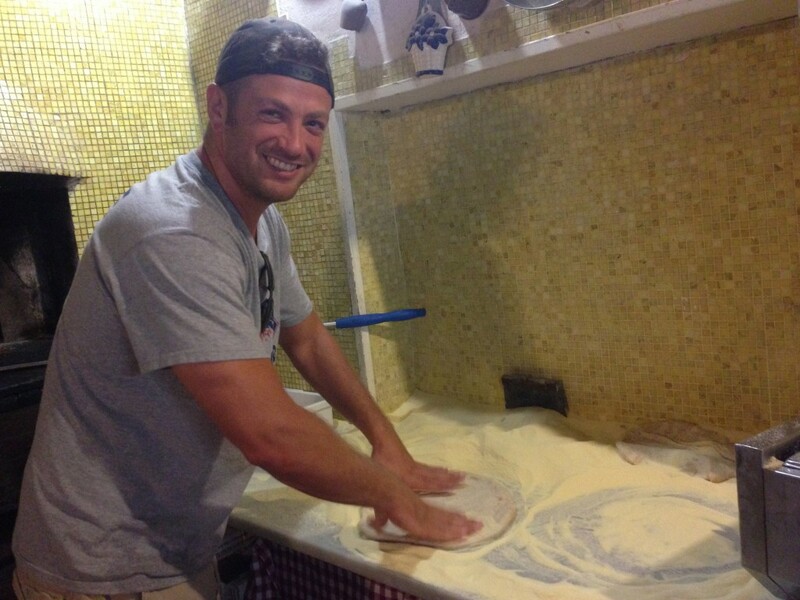 Eating in Italy is kind of a religious experience. 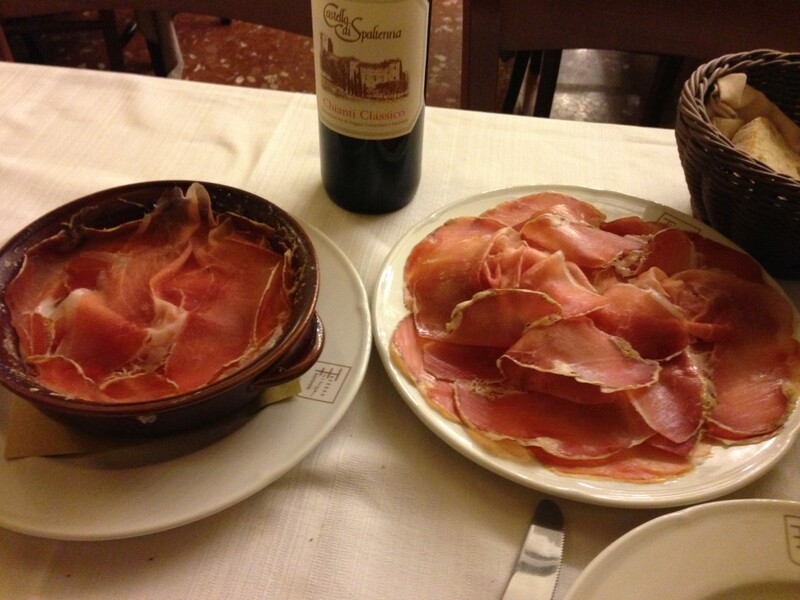 Rome is no exception and has some of the best food in Italy; especially north of Naples. 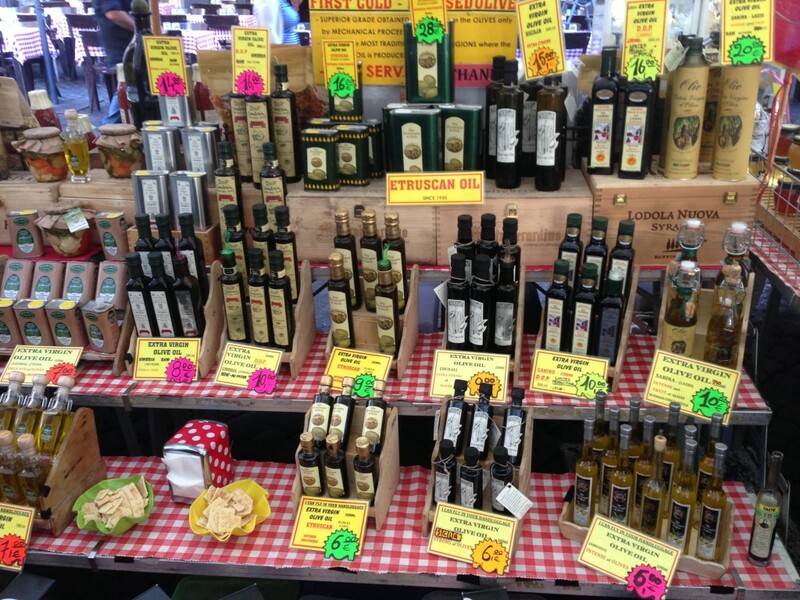 The food in Rome is so good and so abundant that you’ll be confused on where to go and what to sample. My advice is to go everywhere and try everything! While that may be somewhat of an exaggeration and fairly tough to do; I suggest a few things. My favorite area to eat and drink in is Trastevere. It is a great little neighborhood across the Ponte Sisto and has a ton of great restaurants, bars and cafes. You really can’t go wrong anywhere but just eyeball the food and see what you like. My rule of thumb is if the menu has pictures-I don’t eat there. Classic tourist trap and likely crappy food or at least not as good as other spots. 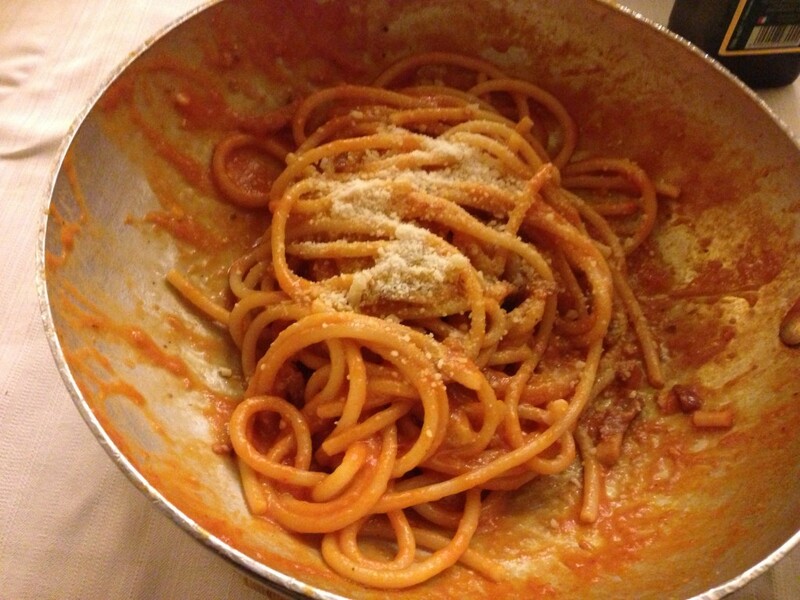 I have a few places I like in Trastevere but my new favorite is certainly Taverna Trilussa. On a great recommendation from my buddy, Panos (who actually gets married on Sunday in Toronto), I was in heaven. They serve delicious pastas in the pan they were cooked in, and amazing appetizers like prosciutto and hot melted burrata cheese. It is so good it will bring a tear to your eye. They also have a great wine selection and very cool decorations inside and a great patio outside. 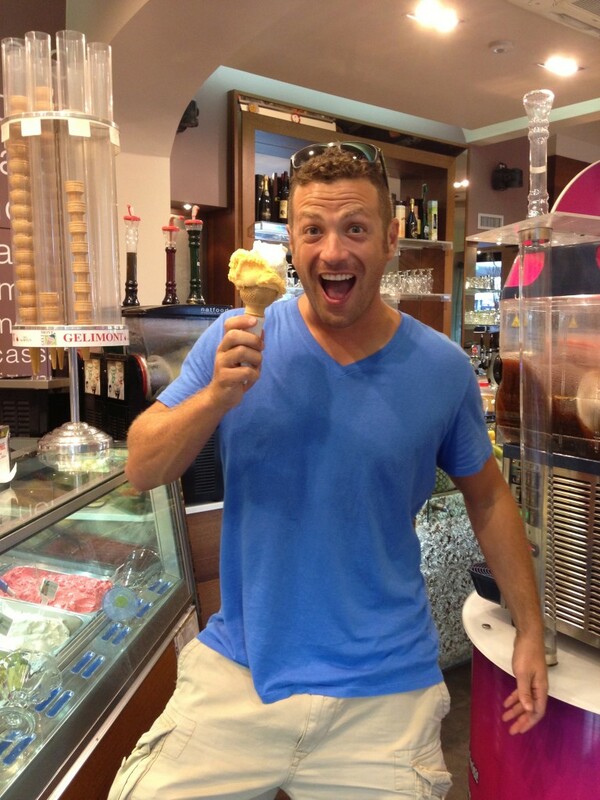 Gelato is another thing that you have to do in Rome-often several times a day. I cannot help myself; I am a slave to its powers and must stop when the display catches my eye. I love the giant creamy heaping displays. It gets me every time! Melon is my favorite flavor but they’re all good! Just pick one that looks good to you and dive right in. One other suggestion and another thing I did for the first time was a food tour. 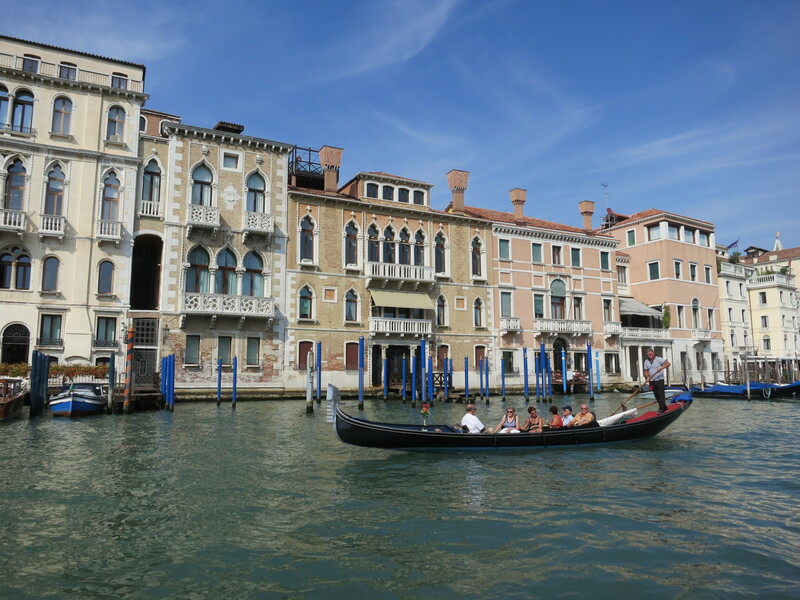 Once again, I did a food tour one morning with Walks of Italy at my friends suggestion and I loved it. 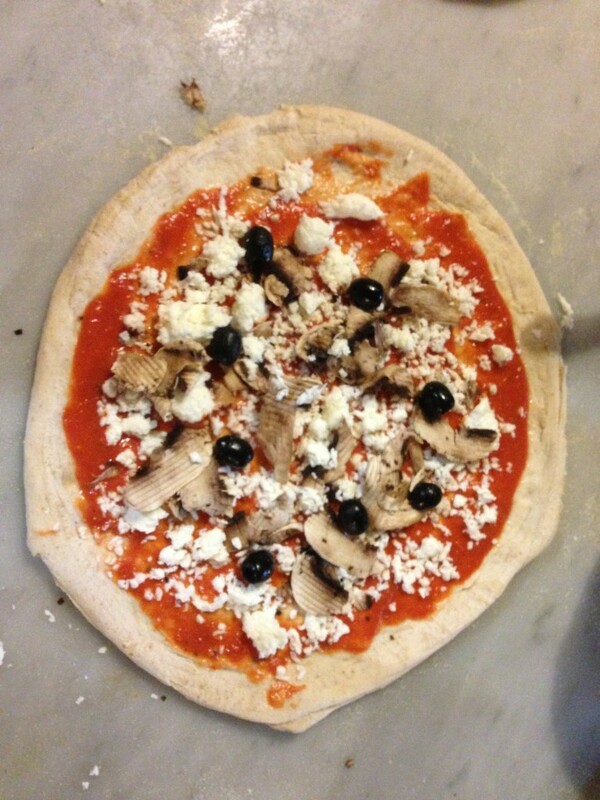 It was great because we got to try all kind of meats, olive oils, truffles and most awesomely…make our own delicious pizzas! I had never done anything like that before and had a blast. It was informative and of course tasty. They also teach you about Italian wines, cheeses, cappuccinos and espressos as well. Well worth a few hours to get your bearings. It is also a pretty way to see some of the city if you’re not familiar with it. The tours start in Campo di Fiore. I could go on and on forever about things to do in Rome and elaborate endlessly on the eating there. But the best things to do in Rome are whatever you want. Walk around, get lost and try things. Step out of your comfort zone, put the map away and just end up somewhere. I guarantee you you’ll love wherever that is. After all, it’s Rome! The Colosseum by night sounds interesting. Thanks for sharing. Yes Liv, it is really cool! You get out to the Catacombs on any of the trips? We really enjoyed the Scavi tour, which is the catacombs/ruins under the Vatican. You have to book in advance thru the Vatican. They take a very limited number each day, so book in advance. Just search Scavi. We also took the tour of the Christian catacombs outside if Rome and it was truly fascinating and like nothing we’d ever experienced! Highly recommend both. Piazza Navona is my favorite!! 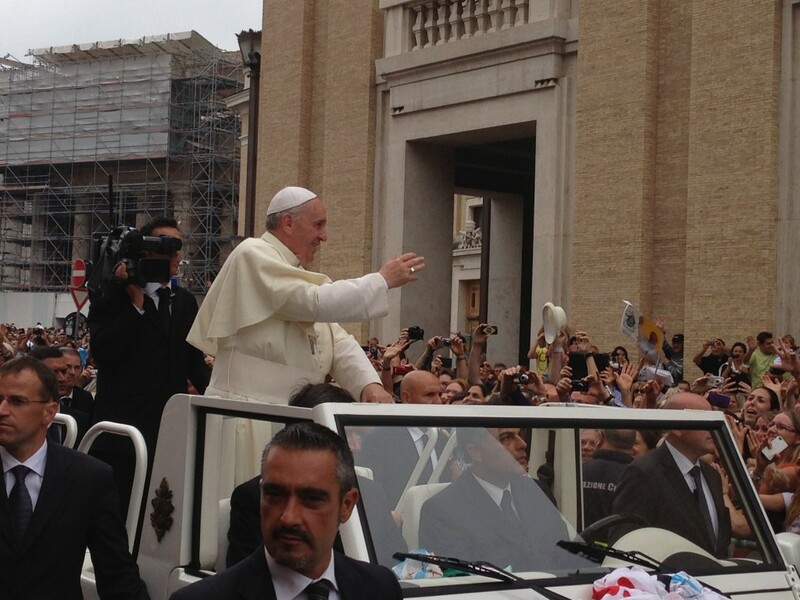 I am not a fan of the Vatican but to see the Pope up so close really must have been cool! LUCKY! I love Piazza Navona for sure, great eats and people watching! Incredible Lee! Looking forward to my time spent in Italy. How long were in Rome this time around? What would be the ideal time to spend in Rome? 3 days this time around but a week would be perfect….you could always do more of course or less if you wanted to hustle a bit. 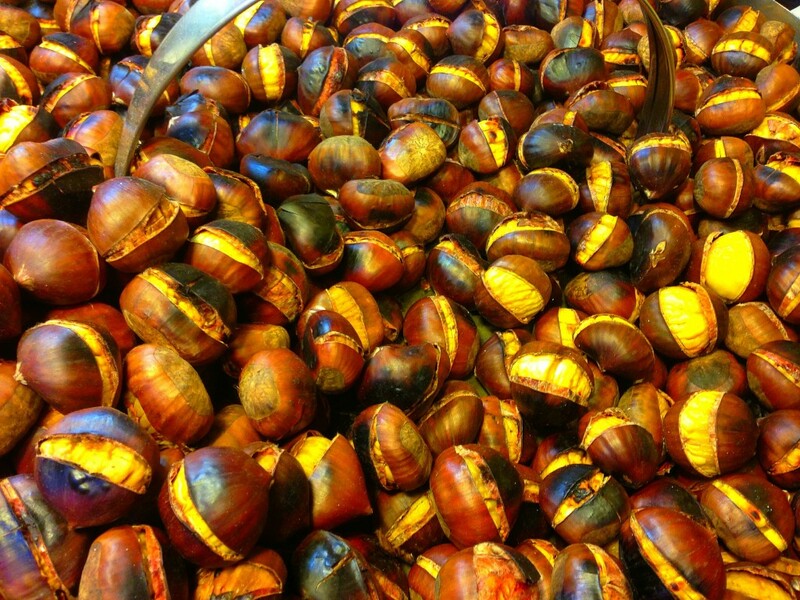 we did the food tour when we were in Rome in September. It was a lot of fun and something very different from the “standard” tours. I am heading to Rome in November with my husband for a 7-day kid free vacation! Your post almost had me in tears of excitement. The colosseum at night sounds amazing! 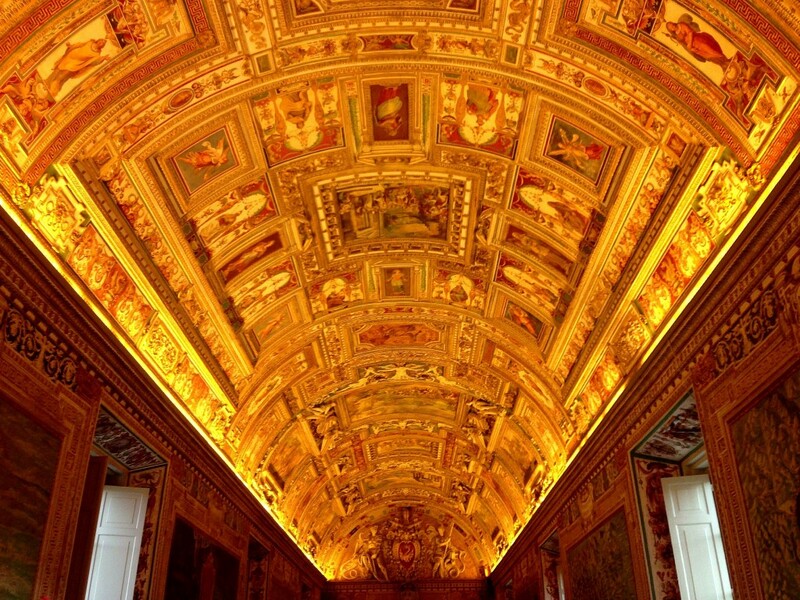 Have you done a Vatican catacomb tour? Would love your thoughts on that. We want to do all the basics, plus more unique things, if you have any suggestions (which is why the colosseum at night intrigues me). I was an art major so this is a huge dream of mine to be able to see everything i studied for so many years. Thank you for all of your info! Really enjoyed Rome and Italy. One of the best things I found was how good the national rail was in Italy (which is surprising, considering how bad their local public transport is).. but the high speed national rail system lets you get pretty far out of Rome in with enough time to do a bunch of exploring. 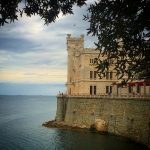 There are some AMAZING day trip you can do from the city.